The Philippines remains Largely Compliant with the EOIR standard, as it has demonstrated progress in addressing deficiencies since its last assessment but must take further actions to comply fully with the enhanced transparency standard. For example, the Philippines now requires accounting records to be kept for ten years, and amended the provisions of its information exchange agreements to bring them into line with the standard. However, the Philippines has not timely brought information exchange agreements into force as it has not yet ratified the multilateral Convention after nearly four years. Important gaps exist for maintaining beneficial ownership information and additional supervisory mechanisms are needed in this respect. 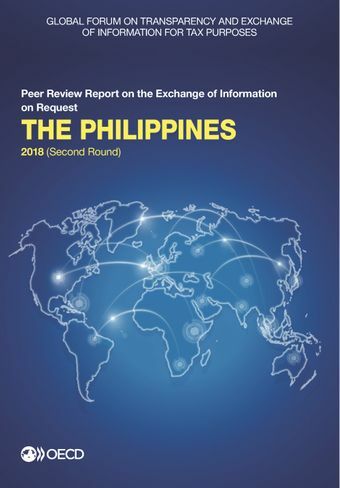 On the practical side, the Philippines continued to strengthen its processes for handling EOI requests received from partners over the period from 1 April 2014 to 31 March 2017, but must further improve its ability to respond timely to those requests. Read the press release.